Compare car rentals in New Zealand in locations across the country. Compare top suppliers like Avis, Budget, Thrifty, Europcar and Hertz. Find a great deal when you book car rental in Nelson with VroomVroomVroom. Nelson is a vibrant city at the top of the South Island of New Zealand. It has some of the highest sunshine hours in the country, a lively arts scene, fabulous local produce, and access to wonderful outdoor areas. You can fly directly into Nelson from most main centres in New Zealand, or it is just over an hour's drive from the ferry terminal in Picton. It's also become one of our most affordable centres to fly into, with both Air New Zealand and Jetstar servicing the city, and offering competitive pricing. At VroomVroomVroom we save you time and money! Use our simple system to get the right hire car at the best price in Nelson. Here are a few reasons why our customers choose to book with us. Trusted suppliers: VroomVroomVroom has teamed up with trusted car rental suppliers Avis, Thrifty, Budget, Hertz and Europcar to give you the best car hire deals possible. Quality vehicles: Compare various models; do you need an economical compact car for your road trip, or would you like special features, such as the boot space of a wagon, or 4-wheel drive? We've got them all! Airport location: In Nelson, our depots are all at the airport. Check out our Nelson Airport car rental page to find more information about picking up your car up from there. No cancellation fees: Book with total confidence, if your plans change after making the booking, you can cancel without any fees. With its wonderful climate, Nelson is a mecca for outdoor enthusiasts. It is handy to not one, but three, national parks, Abel Tasman, Kahurangi, and Nelson Lakes. It's also a mecca for cyclists, Nelson has the Gold Ride Centre status with the International Mountain Biking Association, one of just six such centres in the world. The South Island is particularly popular during summer. If it is the warmer weather you are after, head to the region around January. This is a chance to see some great New Zealand scenery. Currently, there are some road closures due to earthquake damage. Use the inland route of Highways 6 and 7, which will give you a mix of scenery, including Lewis Pass, and the alpine village of Hanmer Springs. Nelson is a fantastic starting point for many adventures at the top of the South Island. Get some ideas from our useful article on a rental car road trip centred in Mapua. Nelson is a unique place to visit and a hire car is the most convenient way to explore the city and the surrounding region. Situated at the top of the South Island, Nelson is well-known for having the highest sunshine hours in the country, and all that warmth seems to have transferred to the population, creating a welcoming and creative vibe. There are over 350 working artists living in the Nelson and Tasman region, many with studios open to visitors. You can see lots of arts and crafts in one place at the famous Nelson Saturday Market. Hoglund Art Glass is a world class glass-blowing operation, with a studio and gallery open to visitors, just 20 minutes from Nelson city. The Jens Hansen Gold and Silversmith is a special place to have your jewellery made. Since 1968, they have been making jewellery with uncompromising beauty, and in recent times have become famous as the makers of the 'One Ring' from the Lord of the Rings and Hobbit movies. You can get your own Elvish love ring made for you or your partner. SAILING IN COASTAL PARADISE! 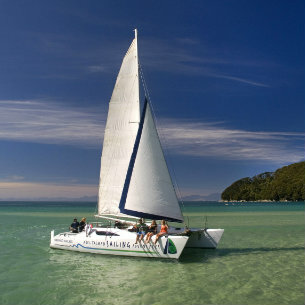 Discover the spectacular Abel Tasman National Park under sail. Experience golden sandy bays, beaches and islands; see seals, penguins, birds, and maybe some dolphins with your skipper as your personal guide. Join others for a full day sailing experience or if you are feeling active, combine your half day sail with a walk, cycle, kayak or water taxi tour. For those looking for a unique accommodation option, spend your evenings under the stars, anchored in national park waters, then sit back, relax and enjoy your private tour sailing the bays! 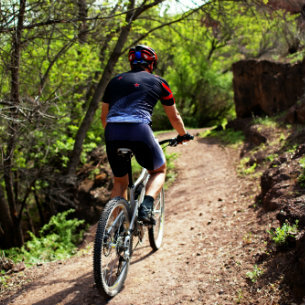 Exploring Nelson's cycle trails can't get much easier than with Nelson Cycle Hire. From their convenient location at Nelson Airport you can hop straight onto the Great Taste Trail and you are just minutes away from experiencing the great tastes of the Nelson Tasman region on your super comfortable hybrid bike or ebike. Enjoy tastings of award-winning wines and craft beers, great foods and cheeses, and see art glass crafted in minutes before your eyes. Then drink in the lovely scenery of the coastal wetlands with its abundant wildlife. The team at Nelson Cycle Hire are ready to drop off or pick up bikes for you at your accommodation, or pick you up at the end of your wonderful day of cycling; or you can choose from their range of one or multi-day tours. Just go to link address provided above to visit their website. At Nelson Cycle Hire and Tours, they have something for everyone. They look forward to hosting you on an upcoming tour so make sure you book your spot now! Call in to view large scale sculptures, or browse the beautiful homeware, handmade from parts of French oak wine barrels. You can even buy a coffee and relax in the beautiful courtyard in front of the gallery. Part of the Moutere Artisans collective, you can find more treasures by local people nearby. The Abel Tasman National Park is New Zealand's smallest national park, but is perfectly formed along a string of golden sand beaches. The Abel Tasman track within the park is one of New Zealand's Great Walks, a concept of premium walking experiences with fantastic facilities. The park is popular for sea kayaking also, with guided trips of up to five days available. The Tonga Island Marine Reserve is at the top of the Abel Tasman, and is home to dolphins, seals and penguins. If you don't think you can kayak all the way there, you can always catch a water-taxi instead. The Kahurangi National Park is also handy to Nelson, home to the famous Heaphy walking track. In the winter season, the track is open to mountain bikers. The famous World of Wearable Arts event started in Nelson, and though it has now become so big it transferred to the big smoke of Wellington, the original exhibits are at the World of Wearable Arts and Classic Cars Museum. Gape at the astonishing exotic gowns that are made from the most amazing materials. Gawk at the excellent classic car collection —with over 50 different vintage cars and motorbikes, all in superb conditions. There is also an art gallery that features local painters. 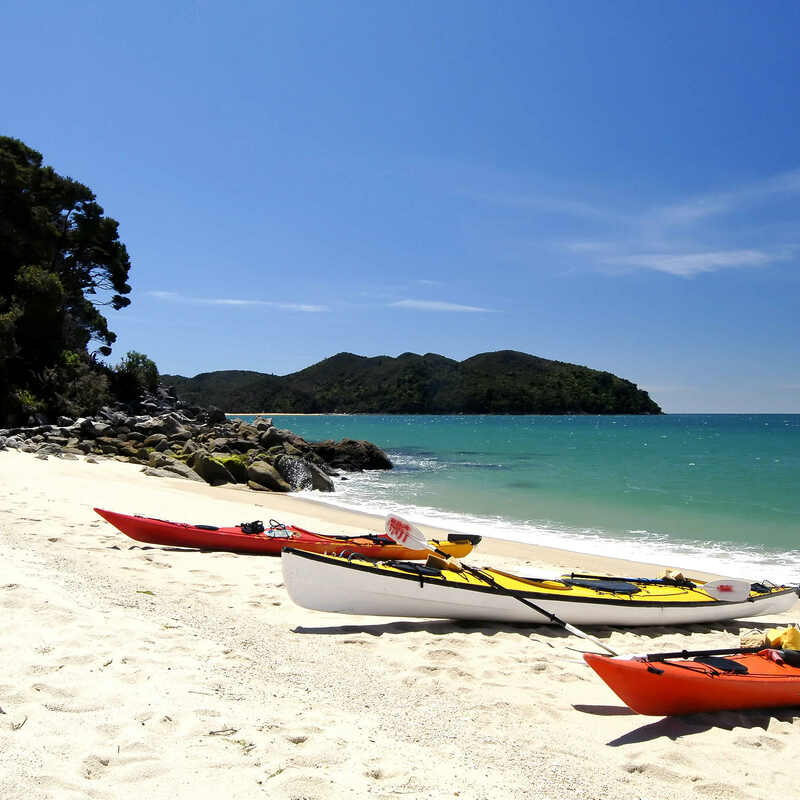 The Abel Tasman Park is a sea-kayaking mecca. Get here by car rental and experience a unique way to enjoy the beach. Explore the serene and gorgeous blue beaches, coves, lagoons, offshore islands, wildlife and the native forests all in one trip. They also offer guided day tours for half day, full day, or overnight excursions. 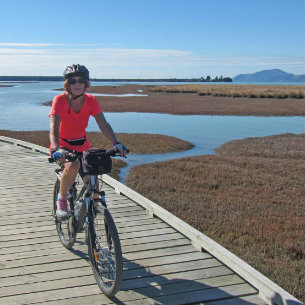 The ultimate way to explore the cycle ways around Nelson and Tasman, especially the Tasman Great Taste Trail; 175 kms that explores the rich foodie culture of the region, from organic bakeries to boutique brewers. This 'can do' company can hire you a bike for one day or many, deliver it to your accommodation, give you a 'one-way' hire, where they take you down the track and you ride home; or offer a range of tour options, from do-it-yourself to the ultimate in luxury. If your shoes where made for walking, then Nelson is known for its walkways with over 40 designated walks within a short distance from the city. Ranked #1 of 71 hotels in Nelson, this cosy cottage like accommodation is your home away from home. It's like staying with your grandma with all the vintage wooden furniture like decor and superb customer service. You'll be fussed over like your royalty. Must stay at the best Hostel in Nelson! With its great central location, provides only a 10min walk to town, very homely feel with well equipped and clean facilities. Not to mention the great service reviews. Perfect for those on a budget looking for a quality, comfortable and hospitable place to stay. This award winning fine dining restaurant offers perfection on a plate and with its entirely new fit out and refurbishment, you'll feel like your dining at home with its cosy warm wooden interiors and cottage detail exterior. Great food in a warm romantic atmosphere. Need refuge from the rigours of shopping? Then head to one of Nelson's favourite summer spots to cool down. With its huge variety of flavours to choose from and the extra options of bakery and coffee specialties, makes a perfect place to whine down for the individual or family traveler.